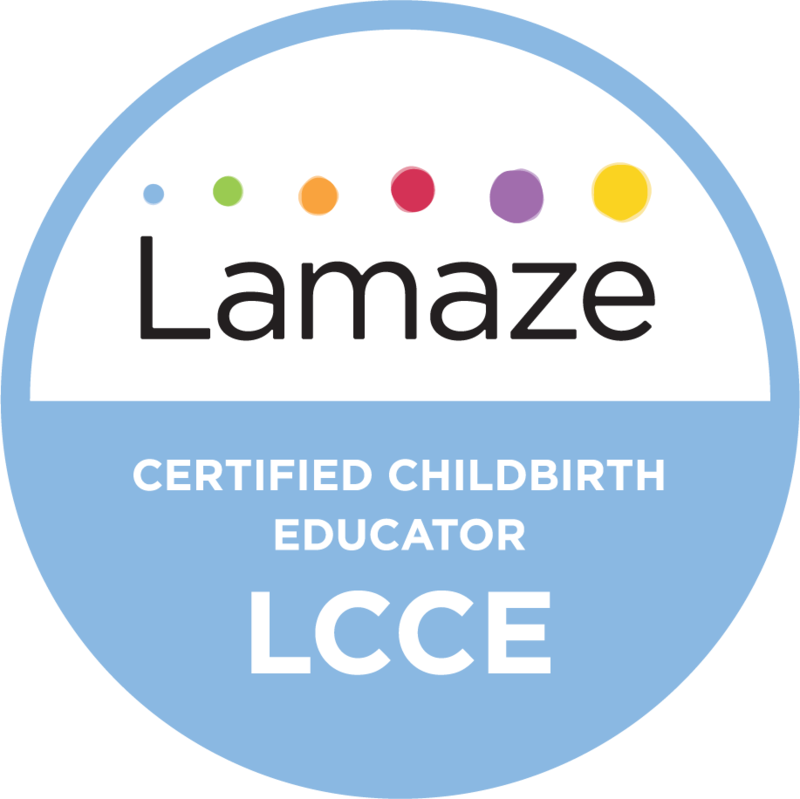 Access to a Network of Birth Professionals, Lactation Support, a resource library, parenting advocates and volunteers. Access to a private facebook group only for my students, so you can ask questions of each other, gather support and hear birth stories. Date/Time: Classes are 6-8pm CST for 8 weeks (16hrs of education). Class size is limited to a maximum of 12 couples. There is a minimum of 3 couples required. Tuesdays: Mar 6th - April 24th, May 1st - June 19th, Oct 9th - Nov 27th. Thursdays: April 5th - May 24th, Sept 6th - Oct 25th, Nov 1st - Dec 27th. Length: 6:00pm-8:00pm CST, for 8 weeks. Location: 408 1/2 E Main Ave, Bowling Green, KY, 42101. Discount: 10% discount for anyone who has hired a network doula. ‼️PLEASE NOTE‼️ if you are due July-Oct, your last class option starts in May. This due to my time off to focus on my birth and baby. I will not be taking on private education students during that time, so the May class is your last option. Drop off your child for an hour of fun for big brothers and big sisters. Perfect for any child awaiting a new baby or for a sibling that has recently added a new baby to their family. Join my Daughter (#Babydukebrown) and I as we celebrate the joy of a growing family. Day 1: Create a special gift for baby and get to know each other (tell us all about your baby and what you are most excited about being a big brother or sister). Day 2: Package the gift and make a card for baby. Read a story "What Baby Needs" and talk about how we can be helpful with baby. Day 3: Read a story called "Best Milk" by an IBCLC that discusses breastfeeding. practice changing diapers on our baby dolls (cloth and disposable will be available), and discuss ways to keep baby safe. When: Saturday April 14th, 21st & 28th. Suggestions: Limit of 12 children per club. Suggested age is 3 to 8 years old. Join area Dads and Dads-to-be for beer, wings and appetizers in downtown Bowling Green. 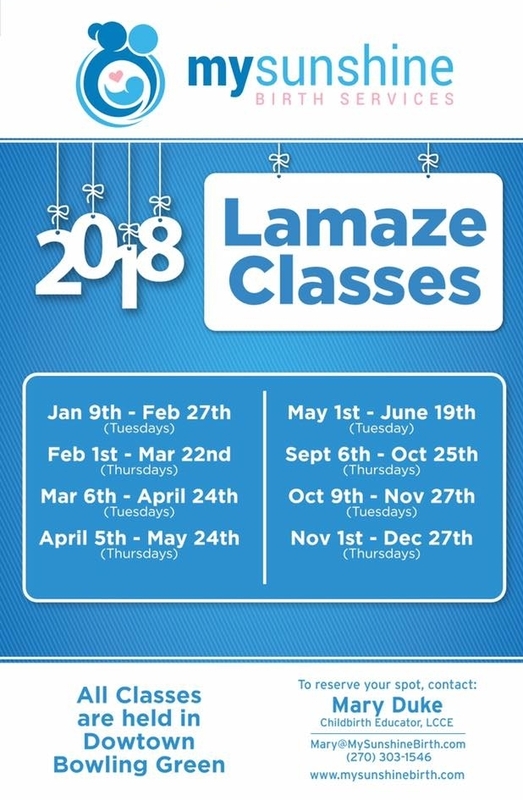 This is a "Lamaze For Dads" events, so you can expect a brief Dad-centered introduction to Lamaze along with plenty of time to socialize with other experienced and expectant fathers. You even get a commemorative pint glass! For those who are newly pregnant or not currently expecting but could be in the future Mary offers a "Wellness" class. Often referred to as an "Early Pregnancy" course this class holds information pertinent to anyone trying to conceive or preparing their body for the conception period. During this course we discuss the Nutrition, expectations and 10 things you need to know before pregnancy. We'll make sure you leave with an understanding of how to care for your body before pregnancy and during the crucial first trimester. How do I interview doctors? What birth environment is right for me? 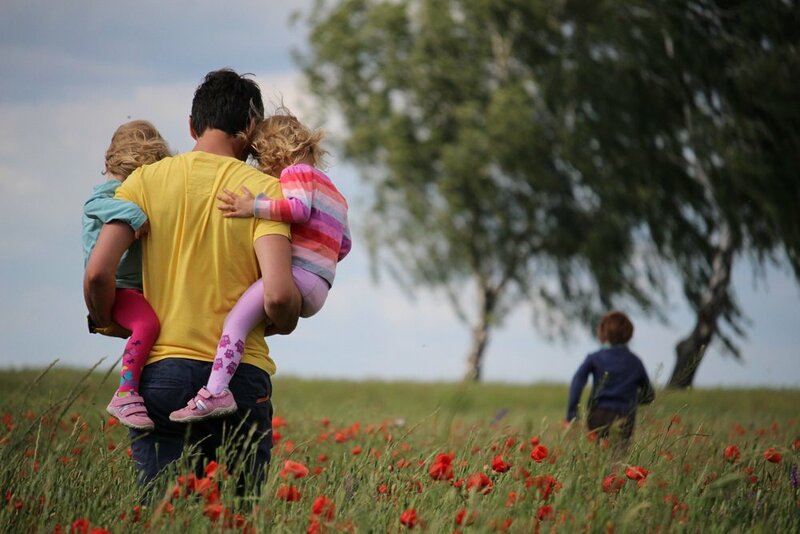 How can natural family planning help me get pregnant or avoid pregnancy in postpartum? What exercises prepare your body for pregnancy? When: Monthly, final Saturday of month. Bengkung belly binding is the art of wrapping a postpartum women's belly for physical support, comfort and to help hasten the recovery process after childbirth. The Bengkung belly binding technique is rooted in Malaysian culture however various countries and cultures around the world use a form of belly binding to help support the healing process. Women are traditionally wrapped as soon after birth as possible. This belly binding technique uses a long strip of cloth to wrap around the abdomen from the hips to the rib cage. It is far more comfortable than a traditional 'corset' and more effective than the velcro wraps often provided by hospitals. My Sunshine Birth Services is periodically offering workshops to train families to perform Bengkung belly binding. You will go home with your own belly binding wrap and the knowledge of how to use it. You may bring your birth partner with you so they will learn how to wrap you also. Provides support for the torso and organs as they shift back to pre-pregnancy position. Supports diastasis recti recovery. Best results when used in the first 6 months. Supports the body's natural spine to prevent and relieve lower back aches and strains. Prevents slouching while feeding or holding your child to ensure better posture. Can help shorten the length of postpartum bleeding and may reduce menstrual cramps. When: Varies. Workshops are based off interest. Signup to get on waiting list. Minimum of 4 couples required to schedule a class. (From left to right) Mashed cauliflower, meatballs, roast w/ carrots and winter squash, butternut squash soup, tomato soup and chicken soup. Chicken livers, pulled chicken & broths are in a separate freezer. 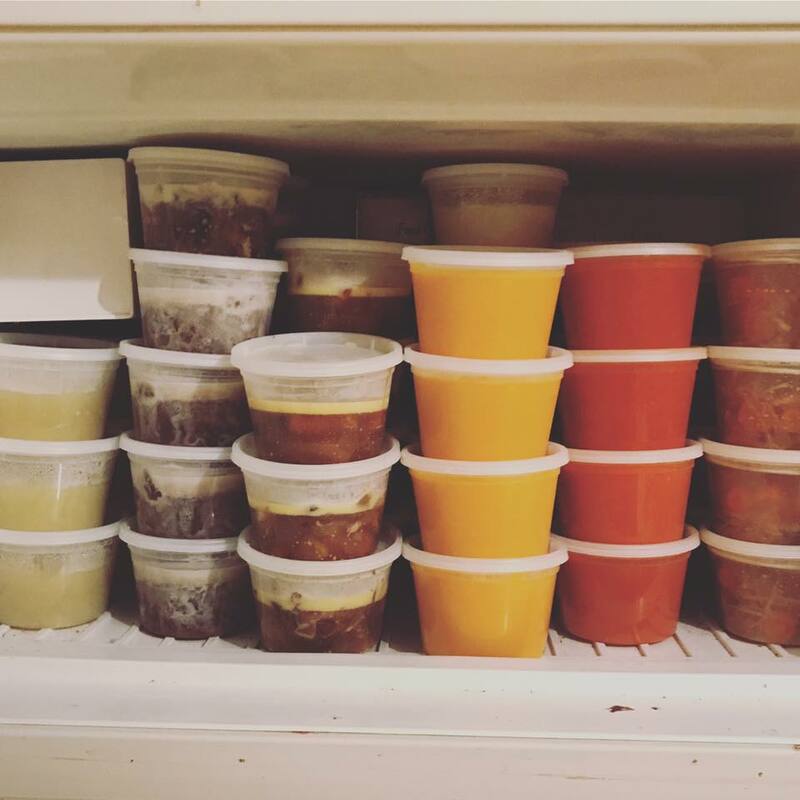 Are you wanting to get your freezer stocked up with nourishing and comforting foods before baby's arrival? Maybe baby is already here but you need to incorporate bulk cooking days into your schedule. I can help! I'm working on putting together a workshop that will send you home with food for your freezer and recipes you are confident you can reproduce for your freezer. This workshop is still in the works, more info coming soon! Signup to get on waiting list. A minimum of number of students/couples will be required to schedule a class. This number is currently pending based on the level of interest. All Classes & Workshops are located in beautiful downtown Bowling Green next to Morris Jewelry. Street parking available on the square. Clean, non-smoking, pet free environment. All deposits are non-refundable because I hold that spot in my class or on my calendar for you. However, I do make an exception for anyone who suffers the loss of their pregnancy before the class or workshop.